Designing good Facebook ads can be a pain.But These Facebook ads spy tools will help a lot saving time and money. When it comes to competition in social media, the first and foremost thing that a business wants to do is to spy on their competitor's promotion strategy on Facebook. In recent years, the trend of social media marketing has gained much traction. By making use of the platform of social media sites, the businesses are ensuring that their promotion of the products reaches the target audience in no time. Hence, one would always be curious to know how well their competitor is using Facebook advertisements to make the product accessible. Therefore, it has become imperative for many brands and businesses to lay stress on certain tools that would help them to spy on the advertisements run by their competitors. As per industry experts, social media sites like Facebook have facilitated the ease of branding in many companies. The same goes for Facebook advertisements. It is a widely accepted fact that by posting ads on Facebook, a brand can reach the desired number of target audiences which is not possible in other modes of advertisements. This platform supports a number of mobile networks like StartApp, MillennialMedia, InMobi, Airpush, Leadbolt ad networks, Adcash, PopAds, Popcash, PropellerAds, ZeroPark popup services, as well as many mobile web ad exchange. 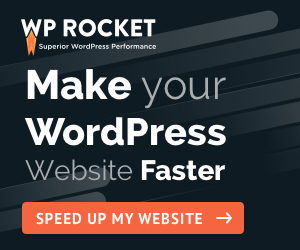 Access to thousands of ads collected every day with the Ability to download landing pages with one click and model after them ( do not copy past but rather use your creativity ). Update: Adplexity recently announced their latest addition called: AdPlexity Ecommerce! How can AdPlexity Ecommerce help me? Access real time data on over 70 million products from 100k stores. See which products and stores are most successful based on data from real people/buyers. See product’s price history since the day it was added. 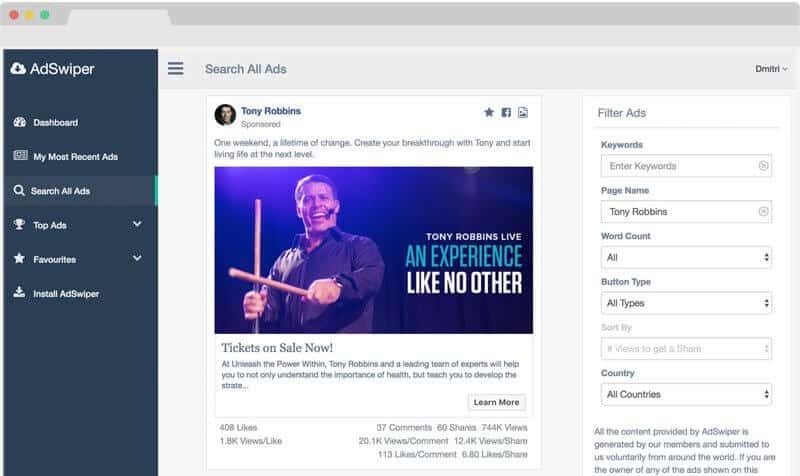 If your looking to know what works on facebook ads and what doesn't you will want to try this tool. Social Ad Scout is one of the best tools that you can have to spy on social ads especially facebook. They currently have ads from more than 21 countries, Coverage in 30+ more countries with a plan to add more. • Devices: one of the major social ad spy tools with both desktop and mobile ads! • Ad Types: the tools supports every format, including Canvas Ads that no one else has! • Targeting: You can see the exact targeting details for every ad; not just who "saw" it! They offer landing pages, images, videos, scripts and style sheets - in a compressed file for you to download. AdEspresso is a free Facebook ads spy tool and has a vast library of Ads related toFacebook. Quite interestingly, it has a great collection of advertisements from businesses that operate on the global platform. One can view these posters in this tool that comprises of all companies including the competitors. It is available for free, and hence it can be an excellent choice for brands that are looking forward to spying on the advertisements of its competitors. Moreover, AdEspresso has an extensive array of resources for marketers who belong to all skill levels. On the other hand, using this useful tool one can also create sample campaigns for marketing. Hence, it is a great tool that serves the dual purpose of creating and spying on advertisements by the competitors. They provide one of the simplest way to review what type of ads their user's competitors are using. They can view the complete ad (Original Copy) and the current interaction it has (likes, shares and comments). with the detailed analytics you can view ad reach, social engagement and latest trends all from one single dashboard. You choose any monthly plan out of 3 different packages Basic, Standard, and Premium as per the requirements. They are also providing 5 days trial at $7 for Standard/Premium plans and 1 day trial at $1 for basic plan. 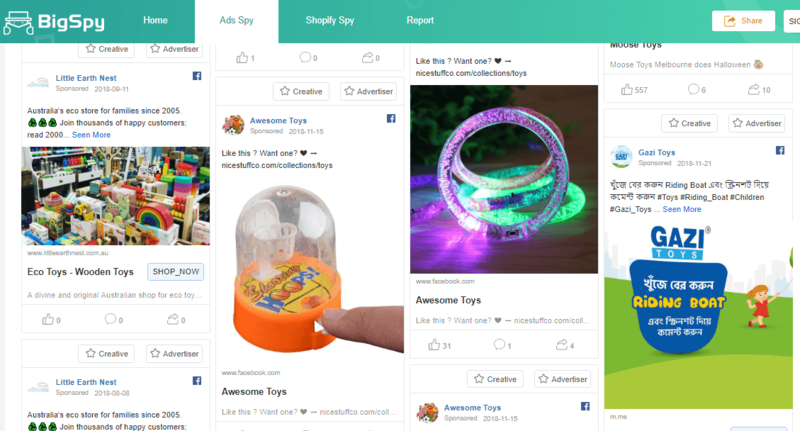 Uncover Facebook interest like you never imagined before with Connect Explore by Wilco de Kreij. It is all about ROI, to be successful and have a great ROI, like 300% or even 600% return on investment you need a real competitive edge. Which needs time and budget most of us don’t have, or don’t want to spend. Having an indepth track on your competition's strategies will allow you to effectively plan and buy advertising more efficiently . This tools will help you extracting details on creative messages used in winning campaigns, discover what calls to action is working for your competition to vastly improve CTR and discover ways to start and scale new campaigns today. Adsector is another great spy tool that will allow you create the most effective ads. Find hundreds maybe even thousands of effective landing pages in seconds. 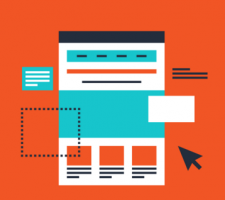 Download landing pages straight from the interface with a single click, and more. It is the best ad intelligence app out there with the fastest search and the biggest database. BigSpy is an Ad and E-commerce Marketing Spy Tool. This tool accumulates data that is big, including Facebook, Twitter, Instagram, and Shopify ads and they constantly updating it. It Gets your attention to marketing ads thru filtering ad type, country, creative type, industry type, CTA, and time..etc . You can view related products by searching for country, industry type, and the shelf time. You will be able to easily find the ads which are doing good in your niche. It assists you to run more profitable and cheaper ads. Bigspy is one the best tools when you want to build engagements and post impressions. AdSova is one of the ultimate Facebook advertising intelligence spy tool. They cover News Feed, Desktop, Mobile... and more . This has a cool feature, It allows you to quickly spot rising and on-going trends. Simply type the keyword and AdSova will detect all trending Facebook posts and ads in a blink. AdSova will allow you to observe how the ad changes over the period and learn from from others else mistakes, from over 500000+ ads. You can track ad creative, targeting, and performance of 500,000 apps across Twitter, Facebook, Youtube, Unity, and Google, etc…in over 100 millions of creatives/formats including video, image, carousel, playable, search ads, This is in over 50 key countries. For profitability, you will learn from industry better practices and latest cases of social ad and influencer marketing. SocialPeta is a great tool for your social marketing and ads plan. 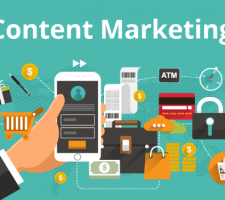 It will help you to define the right advertising and influencer marketing methods, which will significantly improve your ROI. Use this tool to catch trending apps, fresh releases,fresh marketing cases, their ads and performance by country. Quite interestingly here is a tool that stands out from others by its uniqueness. It is uncommon as it does not directly let one view the advertisements from their competitors. However, it lets one modify the execution of their Facebook Advertisements that are based on the spending behavior of the customer. Several price models are available for this tool, and hence a business can opt for their desired form of a model which they think would be apt for them. 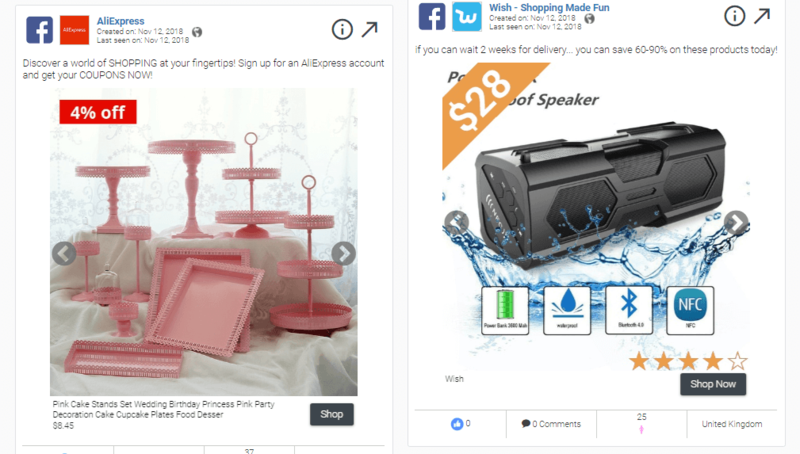 One of the primary features that every marketer wants to see in a Facebook Ad Spy tool is the collection of other advertisements in its database. 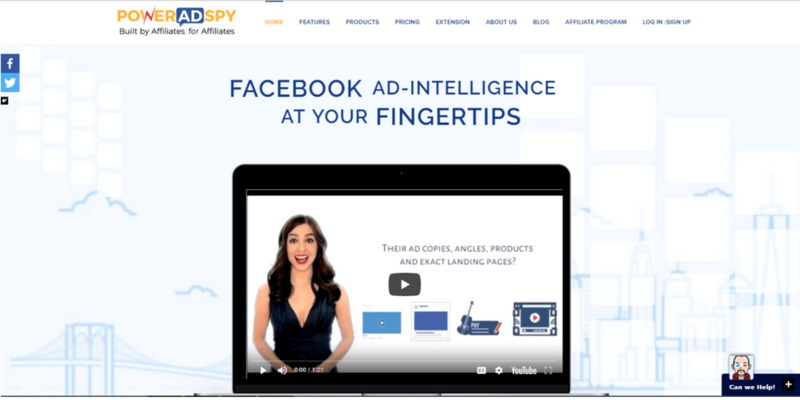 The Adfox tool has a robust database of over 300,000 ads that can be used by a marketer to spy on the Facebook ads of the competitors holistically. These advertisements are growing and enabling so that the brand can find the funnels and best Facebook ads in a matter of few seconds. The cost of affording it is quite minimal looking at its practicality. But it also focuses on the strategies and ways to reduce unproductive efforts and gain popularity over competitor Facebook analytics. Hence, this is a great tool that can phenomenally help the marketer to comprehend the targeting strategies of the competitor. The unique angle of AdSwiper that differentiates it from the rest is that it is absolutely free to access its entire database of ads. It has also been recently approved by Facebook. Rather than relying on automated scripts and bots to scrape Facebook feed data, the application receives ad submissions from its large network of users who have installed their browser plugin to collect ads for later viewing. Ads can be searched by keyword, message length, advertiser's page name, button type and country. They've collected ads from 42 countries so far that can be filtered within search results. The ad listing page has a great landing page preview feature along with a unique ability to find out what makes an ad go viral thanks to their advanced metrics. For example, you can see how many views it takes for an ad to get shared. When you install their Chrome browser extension, you will also be able to save ads into a favourite folder directly from your own feed. It is an excellent shortcut for when you see an ad that captures your attention or has an offer that you like. You’ve read about the facebook ads spy tools . Now it’s time to check them and start implemention. The first step? 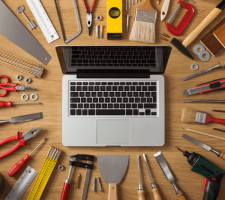 Leave a comment to let me know which tool you’re going to try first. Ready to implement adplexity? Or maybe you want to try adsector.